Scent Of A Flower deliver by our preferred couriers or by our own drivers with the utmost of care. Same day delivery (excluding some outer suburbs) is available. Cut off times for business addresses is 11am, for residential is 2pm and local hospitals is 4pm. Valentine’s Day: For deliveries on 13th & 14th February time deliveries are not guaranteed. Businesses will be delivered by 5pm and residential up to 8pm. i.e. What time you placed your order, suburb our drivers are delivering to and if applicable. Please contact Scent of a Flower on (03) 9417 4312 for further enquiries to confirm if your order may be completed successfully. Flowers shall be delivered and left safe at all times if the recipient is not at the home and you have instructed us to do so. In this case, Scent of a Flower does not guarantee however the quality/ state of flowers once they have been left and the time the recipient returns to their home or office. All flowers & gifts leave the premises of Scent of a Flower and are delivered in perfect condition, and fresh quality. If not a safe place, an apartment or office is closed, flowers will be returned to the premises of Scent of a Flower. Recipients are generally contacted to arrange a re-delivery. Should this be the case, an additional delivery fee (same as the original delivery fee) will be incurred. An additional 30-50% fee of original cost of floral flowers will also apply if we need to replace flowers. This will be subject to Scent of a Flower’s judgement. In most cases, most flowers are distressed with travel, temperature conditions and lack of water. 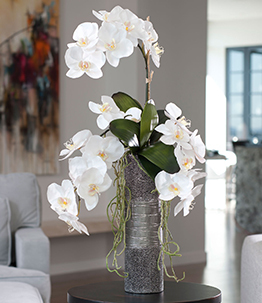 In these instances, the flowers must be replaced to ensure your flowers ordered are fresh and long lasting! These additional charges must be paid before order is redelivered, (you will be notified) therefore it is imperative all information is provided correctly at the time of order. For any queries regarding delivery or customer service please call our friendly staff on (03) 9417 4312. All delivery instructions e.g. date and time of delivery, enter in the Card Message [+ delivery instructions] section at checkout. *Please note you must enter the corresponding code to receive FREE delivery. The code must be entered in the DISCOUNT CODES section and applied in the shopping cart. There will be NO REFUNDS processed if a shopper forgets to enter the FREE delivery code at check out. Orders may not be cancelled, altered, changed within 24 hours of delivery date. Your order has already been processed and possibly dispatched. If so, $50 fee will apply. Contact Scent of a Flower immediately on (03) 9417 4312. Once orders are placed and confirmed online with Scent of a Flower, no cancellations or refunds are permitted. Please select and order carefully. If orders are placed more than 48 hours from the desired delivery date and an alteration is required, ie. Address. telephone modification etc, there is no additional charge. Should you wish to alter your selection, you are more than welcome to, providing the item selected is of similar value and above. All charges will need to be processed accordingly either via PayPal or Credit Card over the phone. No refund will be given. A gift voucher will only be issued and availble for your next purchase with Scent of a Flower, in case of non availability of product. Please contact Scent of a Flower for more details (03) 9417 4312. Should your order not be satisfactory please contact our friendly staff immediately to discuss. All prices include GST, unless otherwise indicated. Your charge will be processed via PayPal. All items displayed DO NOT include delivery. This is an additional cost. Scent of a Flower is a member of Interflora- so we are able to place your order for you, providing of course, the destination is within the delivery region and all conditions are met. ONLY FLORAL IMAGES labled with INTERFLORA under the floral category are available for all Interstate orders. All International orders must be arranged directly with Scent of a Flower. Please follow procedures as per usual online order. Ensure all information, ie.delivery address, apartment number, level number, contact details etc, are entered correctly to avoid any extra fees. No other products displayed on Scent of a Flower’s Valentine’s Day selection are available for interstate or international orders. These apply for Melbourne deliveries. All Interstate or Overseas orders must be finalised at least two (2) days prior to Valentine’s Day/ Mother’s Day or any special occasion to ensure your delivery is made by the desired date. The earlier the better! After all it is a special day for all and will be a very busy one! Please contact Scent of a Flower (Melbourne) for more details on (03) 9417 4312. You can view your orders anytime after placing the order. Scroll to the footer of the website and click the link Orders Info link. The best policy is creating an account at the checkout. This way you can log in to your account and view orders, history or delivery anytime. Delivery order confirmation details for Valentine’s Day will not be available for at least 48 hours after the specified delivery date. If you have created an account you can log in to your account and update any account information or orders (given it’s not processed).